Notaí CLG Tulach an Iarainn 24/10/2017 - Tallow, Co. Waterford, Ireland. We wish the best of luck to Ballygunner, who represent Waterford, in the Munster club championship this Sunday, October 29th. They will play Tipperary champions Thurles Sarsfields. Throw in is 2pm at Walsh Park. Well done to John Murray on his recent win in the Deise Draw. 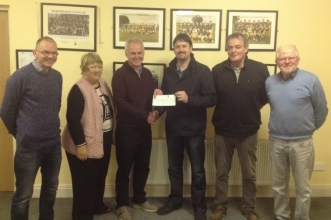 Congrats to Liam (Mixer) Ahearne, who won the GAA lotto last week. I'm sure Coalie will help you spend it!!! !